It is widely believed that the written word first appeared in China during the second half of the second millenium BC. As far there as been no evidence to suggest that writing was introduced to China from another culture. The earliest examples of written Chinese date to from 1500 to 900 B.C. during the period of the Shang Dynasty. This form of writing is known as 甲骨文(jiăgŭwén), which means "shell bone writing", because they were carved onto turtle shells and ox bone. Refer to collectively as "oracle bones" due to their use as divination tools, the details of the divinations then being inscribed upon the artifacts. It is possibly the most common spoken language in world, with over 1 billion speakers. It is the official language of China and Taiwan and is used almost exclusively in government, education and in the media. It is also one of the four official languages of Singapore. Cantonese is the second most common form of Chinese language and has an estimated 65 million speakers worldwide. 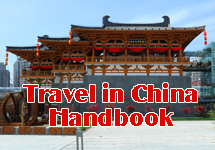 Speak in the Chinese provinces of Guangdong and Guangxi, as well as the islands of Hainan and Hong Kong. It is also common in other countries including Macau, Singapore and Malaysia. This dialect is mainly spoken in southern Fujian, Guangdong, and southern Hainan Island and in the south of Zhejiang and Jiangxi provinces. It too is common in other countries such as Taiwan and Singapore. This dialect is spoken by about 25 million people in China. Although mainly in Hunan province, it can also be heard in parts of the Sichuan, Guangxi and Guangdong provinces. China Daily Information Co (CDIC). Without written authorization from CDIC, such content shall not be republished or used in any form.